Cory wallace grew up riding in the Canadian Rockies and turned his cycling passion into a career with Team Kona that has taken him on adventures and races around the World from south america to asia. He’s won the World Solo 24HR Championships in back to back years and has found interesting experiences wherever his bike takes him. MK: What was your first adventure growing up in Jasper, Alberta? What role did food play in it? Cory: My first adventures growing up in Jasper were going on 2 to 3 week backcountry trips with my parents who were park wardens. We would go deep into the Rocky Mountain wilderness of the north boundary of Jasper National Park via horseback. My parents were patrolling for poachers, helping hikers, counting wildlife, and doing trail maintenance. Food was key for those trips as we would have to bring everything with us for the duration. Eating was a highlight of the long days on the trail, as we would often eat fresh trout from the rivers and fresh wild berries. Otherwise, our food was mostly packaged staples like rice, soups, trail mixes, and snacks. 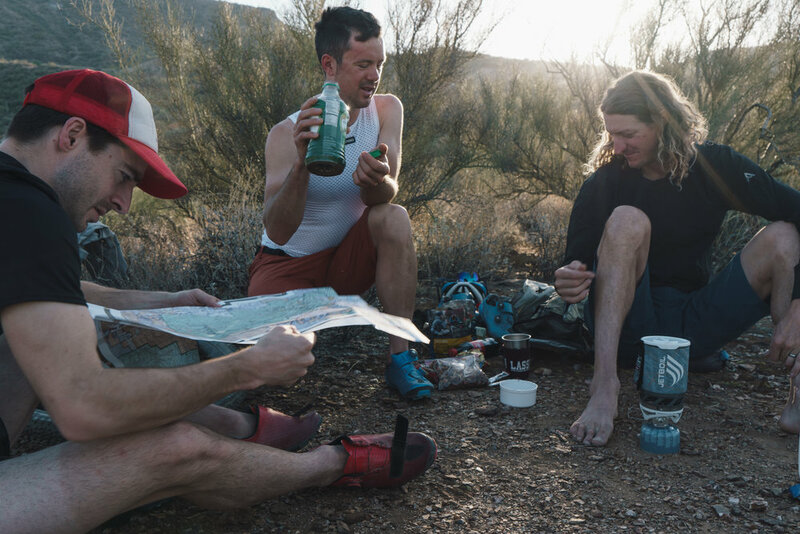 MK: How did you make the leap from touring and exploring to endurance racing? Cory: I always had a good level of endurance, but it took a few years to develop the high speeds needed for racing at the top level. Luckily, I came into racing at a good time, when Marathon and 24-hour racing were getting big. The longer distances suited my abilities much better than the short track XC races. I found that touring and exploring, mixed with shorter rides full of top end efforts, can transfer this fitness into good racing legs. MK: Touring seems to be your way of training. How did this come about? Cory: When I wanted to get back into racing in my early twenties, I figured I needed a good base to kick-start the comeback. That year, I headed down to the south tip of Chile and started a 2-month tour north, eventually finishing in Peru (with a few bus rides). I’ve found it’s easier to put in the big base mile rides when there is a destination in mind and new scenery every day. Bike touring is perfect for this, as every day is different and exciting. It’s often a problem to not ride so much, and sometimes I don’t get enough recovery days while I’m on tour! MK: What is it about ultra-endurance activities that pulls you in? Cory: The challenge. In ultra-endurance racing, there is no hiding. Your weaknesses will get exposed, and it’s all about how you hide them when they do and still finding a way to finish off the race strong. I love the feeling of being completely smashed after these races. MK: Where does your mind take you on your endurance races? Cory: In 24-hours of racing, it’s a truly wild ride for my mind. The first 8-10 hours, you are pretty focused on the race, but this focus starts to change in the middle of the night when you start getting exhausted and your stomach is feeling sick from eating so much. By hours 14-20, the mind goes to some far-off places, it’s always a surprise where it ends up! In the final hours, the focus usually comes back as you can see the light at the end of the tunnel and there’s usually a tight race on your hands, which you don’t want to put to waste after all the effort from the previous 20 hours. MK: How do you fuel yourself for the 24-hour races? Cory: Over the years I have tried pretty much everything for fuel in a 24-hour race. Staying away from sugars has worked the best. Now I rely on rice cakes with almond butter, potatoes, Clif bars, and some homemade oat bars. These are my main fuels, but there’s also a selection of gluten free goods, cheeses, and some savoury snacks to get me through the depths of the night. Treats are also important, so I’ll have some sort of homemade baked good full of chocolate. MK: What’s been the most difficult of all the races you’ve been in? Cory: There were a few 24-hour races in Australia and Canada that I’ve had to dig pretty deep to finish. Outside of those races, the toughest race I’ve done was the 270 km Tour of the Dragon in Bhutan. It’s a crazy race, starting at 2am, that goes half the length of Bhutan over 4 mountain passes. It rained a lot and the roads were disastrous for the first 150 km. They often looked more like river beds and pig sties then roads. I ingested so much mud in my mouth during the first 6 hours that I had to stop to take a dump – which I think was all mud! It was the worst messkit snack I’ve had while riding. [Laughs.] The last 4 hours of the race, I couldn’t eat anything – and there was a 45 km climb towards the end. I was never so happy to see the end of a race before! MK: What’s the most rewarding thing about exploring the world by bike? Cory: Getting off the beaten track and seeing places that rarely if ever get visited. The people out there are so authentic, and really curious when they see a bike rider come by. It’s getting to see these corners of the world that keep me coming back for more. MK: What is it about Asia that seems to have captured your heart? Cory: The first 4 years of riding, I spent my time in Central America. Then I spent a lot of time in Australia, Mongolia, and India. Recently, the Himalayas of Nepal have captured my heart. The Southeast Asia region – Thailand, Laos, Cambodia, and Vietnam – has always been interesting to me. I think Asia is so cool because of the people and the culture. The food is amazing as well, and the geography contains everything from jungles to 8000-meter Himalayan mountains. There is so much to explore in this region that I think I’ll be drawn to it for many years to come. MK: What sort of food inspired you in your recent tour around Asia? Cory: Coconuts, oranges, and peanuts were my ride foods on this last tour in Asia. The coconuts were amazing to help combat the constant battle with dehydration. Once I finished all the coconut water, I would eat the meat, which was high in saturated fats and a great ride fuel. Oranges were also hydrating, and they provided a good source of sugars. Salted peanuts were used to increase my sodium intake, and to provide some lasting high-fat, high-protein energy. Once off the bike, my favourite food was pad thai with two eggs in it, as it provided great energy for training. Other favourites were the sticky rice in Laos, and the fish amok in Cambodia. Fish amok is a coconut-based curry with some delicious white fish filets mixed in. Oh, yeah: and papaya and pineapple shakes. The fruit is so fresh over here, and made for some great recovery snacks! MK: You give back to the community through racing and training the next generation of riders in Asia. Can you talk about that more? Cory: Racing is just starting to really take off in this part of the world, and at the moment it’s mostly the middle-aged businessman that have the money to afford the good race bikes. There is lots of young talent in this region, but most young people can’t afford the necessary equipment to be able to train and race properly. Having spent a lot of time in Nepal these past few years, I’ve had a chance to get involved in the cycling community here, and have noticed a few areas where I think I can be of help. Thanks to some generous donations, I’ve been able to raise large sums of money over the past couple of winters from doing a 24-hour cycle challenge on the Annapurna Circuit. This money has been used to establish a training centre in Kathmandu for the riders, and we are in the process of launching one in Pokhara as well. The goal is to give the riders a base to train out of – a place to test themselves, and hopefully to assist them in getting their cycling careers to the next level. The Nepal riders have great attitudes and the perfect terrain to be top mountain bikers, but most of them lack the budget. I would love nothing more than to see them be able to follow their dreams and to race overseas. The Olympics are a long shot, but I believe there is the talent over here if the riders can find the right support. MK: What does your messkit and pantry look like for your bikepacking tours? Cory: For my bikepacking tours, my bags are generally half full of messkit pantry goods. For me, it’s all about being efficient with the space on the bike. The foods I pack are generally nutrient packed powders. The keys I’ve found to staying healthy are whey protein, a greens drink, chia seeds, hemp seeds, L-glutamine, vitamin C electrolyte mixes, and if there’s any space left, I’ll stash some Clif Whey protein bars in there. I find these foods keep me healthy, and then I can fill the rest of the diet with whatever natural foods I come across on tour. MK: What are some of the things you cook on the road in Asia? Cory: I don’t cook on the road. [Laughs.] Street and restaurant food are so cheap that it is the best option. The only thing I will maybe cook myself is a bowl of oatmeal in the mornings, as this allows me to get on the road quicker without having to go out looking for food. MK: Salty, sweet or savory? MK: What bikes are in your stable? Cory: Kona Hei Hei, Kona Honzo, Kona Libre, Kona Jake the Snake. MK: What’s your favorite gas station meal? Cory: Baked potato or potato wedges. Don’t forget the nuts! MK: What have you learned about yourself in the adventures you take? Cory: The road less traveled generally leads to the best adventures. I’ve also learned that the hardest part of a trip is often leaving – once on the road, everything seems to fall into place. MK: Now that you have completed such epic adventures, do you find it hard to just go out for the day? Or is that something you enjoy more? Cory: Balance is good. The epic adventures are awesome, but it’s also fun going on short days with friends joining me along the way. You also need time to rest, so those short rides allow this to happen before the next big adventure. MK: What are you most excited about in the upcoming year? Cory: I’m stoked to have a chance to travel to Brazil for the first time for the World 24 Hour Solo Mountain Bike Championships. It’s always fun when racing takes you to new countries, as you really don’t know what’s in store! 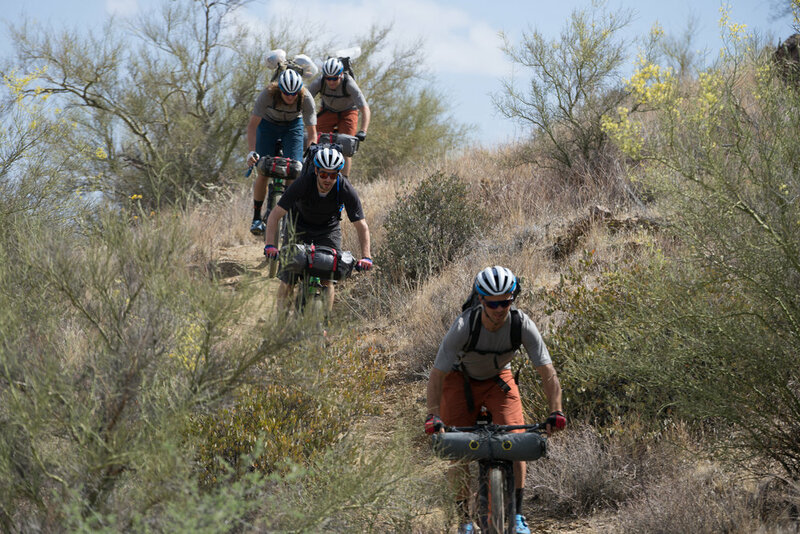 I’m also excited to get on some adventures with the Kona Adventure Team, as we are a good mix of personalities and we always have a great time together.